We are the professionals to get you back on the road. 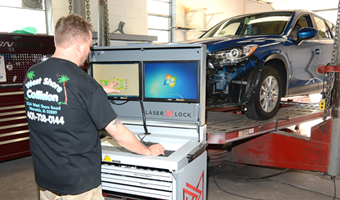 Our ASE Certified technicians offer exceptional quality repairs at competitive prices. 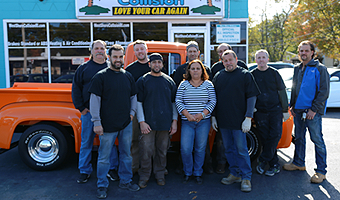 Our collision technicians and their associates are dedicated to quality and customer service. We work directly with your insurance company and help you avoid any more stress to make things better. Our friendly and professional staff is here to answer any questions you may have about our company or our services. Established in 1974, at our current site since 1990, we strive to create lasting customer relationships. When you bring your vehicle to us, new or old, you will receive nothing but the best in service and parts. We don’t sell you what you don’t need. We focus on the most important issues first. Reliability, efficiency and safety are what matters! We are proud to say we have a perfect rating with the Better Business Bureau (BBB). Our customers give us rave reviews and that’s why we’re their go to local mechanics. Come check out our new frame and paint machine. 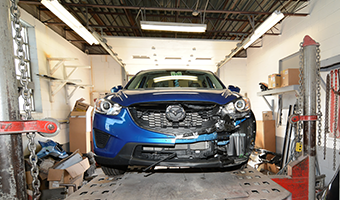 See what West Shore Collision can do for you!